Last month, I had the pleasure of attending the Massachusetts Library System’s 4th Annual Teen Summit. This year’s theme was “The Library as Safe Space.” It was a day-long opportunity to connect with teen librarians around the state, share ideas, and focus on services to LGBTQ youth and other marginalized populations. It was an all-around inspiring day, but the highlight, for me, was the keynote speech give by Ellen Wittlinger, author of the 2000 Printz Honor book Hard Love (also a 2000 Quick Picks for Reluctant Readers, a 2000 Best Books for Young Adults title, and a 2002 Popular Paperback for Young Adults) and 1999’s Parrotfish, one of the first YA books to feature a transgender protagonist. 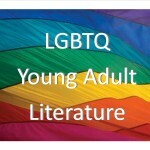 Her moving speech at the Teen Summit touched on many of the sad statistics found in last week’s great post by Molly Wetta but also explained her reasons for writing queer YA. Ellen was kind enough to agree to a brief interview, which I’m happy to share below. In my mid-twenties I was fortunate enough to live in Provincetown, Massachusetts for three years as a fellow of the Fine Arts Work Center. I’d always had a few gay friends, but usually they weren’t out to their family or co-workers. 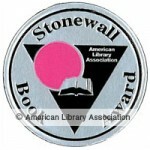 But in the early 70’s I was at ground zero for people who were “out and proud” and it affected me profoundly. Because of my own difficulties with my family, I’d always felt I had a lot in common with my gay and lesbian friends, but it was in P’town that I first began to think of myself as an advocate as well as an ally. When I began to write YA literature it seemed like a natural avenue to take. 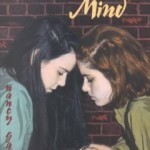 There were a handful of YA novels with gay and lesbian characters(this was the 1990s), but most of them were still in the throes of coming out. There weren’t any gay or lesbian characters embodying the teenagers I was seeing who felt much more at ease with their sexuality, so I thought I’d try to write one. And a few years later I felt similarly when I met a young man who was transgender. I hadn’t met anyone before that who was transgender and it seemed likely to me that most teens hadn’t either. People become more comfortable with those they think are unlike them once they actually meet them and get to know them. We fear what we don’t understand, but as one reader said to me, “now that I know Marisol, I see that gay people are just regular, normal people.” Also, my trans friend, Toby, was a great help to me in writing the character of Grady; I couldn’t have done it without him. “Missing parent syndrome” is very common in YA books, but family plays a big role in your books — John’s parents’ divorce is a major source of unhappiness for him, and Grady’s family is a big part of his transition. What drives your interest in family life? I’ve always loved novels about family, especially big families. I was an only child and always felt I was missing out on something by having no siblings. I guess I’ve been making up for that in my books. I think involving the family in the story makes it more realistic, and thicker, juicier. One of my favorite parts of Parrotfish is the metaphor of gender as a football field with Sylvester Stallone at one end and J. Lo at the other with most people somewhere in the middle. What inspired this metaphor? Hmmm. I wish I could remember. I’m certainly not a football fan, but I guess I was searching for an image that would work for high school students and that’s where I landed. But I did like the fact that it’s a “game,” that we shouldn’t take this gender business too seriously. It seemed to work. 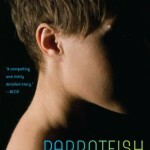 Forgiveness is another big theme in both Hard Love, Parrotfish, and Love and Lies. What makes forgiveness interesting to you as a writer? I’m not a religious person at all. I suppose I’m a secular humanist, although I probably should look up the definition of that to make sure it’s accurate. At any rate, I’ve always put my faith in people and their innate goodness, which has usually worked out well for me. But no one is perfect; we hurt each other without wanting to. Forgiveness is the greatest gift you can give to someone — and often it’s the best thing you can do for yourself, too. I don’t think it’s a bad idea for children and teenagers to see how that works. Portraying sexuality of any kind can be touchy in novels for teenagers, and YA novels frequently top ALA’s top ten most challenged books list; on the other hand, novels featuring LGBTQ characters can be a great source of comfort to readers who are thrilled to read about someone like them (or like someone they know). What has the reader response to your novels been like? Responses from most readers have been great. 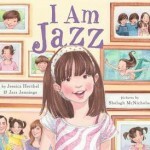 GLBTQ teens are thrilled to see realistic representations of themselves in books. 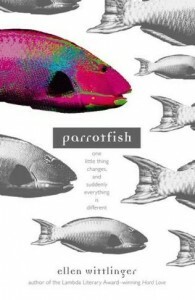 I’ve had readers tell me reading one of my books (especially Parrotfish) has been a lifeline for them to get them through adolescence, even to prevent their suicide. And I’ve heard from straight kids who tell me they’ve changed their attitudes towards GLBTQ peers after reading one of my books, which makes me especially happy. I think you have to write the books you think are necessary to write. You’ll never appeal to everyone, and you’ll go nuts trying to. If a book is challenged, so be it. 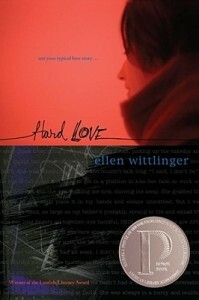 Thanks again, Ellen, for agreeing to be interviewed and for your wonderful books!